This post is sponsored by Almond Breeze! We are using their Almondmilk which is delicious for an iced matcha latte. Okay! So let’s get granola for a minute. A toasted English muffin smeared with almond butter and sea salt is just begging to be washed down with sips of this cold, creamy, sweet, antioxidant-dense iced matcha green tea latte. It’s like the world’s healthiest form of a latte. I know you’re maybe asking questions. Raising eyebrows. Matcha is a tiny bit off the mainstream map, I get it. But hey – can you buy almond milk? do you have Amazon? because that’s how I got started with my matcha green tea latte obsession. Look out, hippie matcha green tea latte drinkers. The food regulars be comin for ya. So to set the stage. MATCHA GREEN TEA IS THE BOMB.COM. I didn’t know about it until, like, two months ago. It all started with an obsession with a local tea bar in St. Paul, where I’d order this thing called a Royal Tea Latte (I’m speaking in past tense as if this is something of days gone by, but in reality I’m stopping there on my way home from work to get my third one this week – large plz – and I have zero regrets) and because the Royal had to brew for a few minutes, I’d sit there and watch all the other tea people ordering and navigating the scary-exciting menu of a tea bar. And that’s when I realized: whoa, matcha. I started ordering matcha tea latte drinks at coffee shops. I was just curious. I found some things out. I’m going to be honest – I can’t stomach matcha green tea lattes when they’re hot. Just… too much of a green plant steaminess in my face. I do, however, LOVE love love them cold. Icy cold and creamy and sweet, perfect for sipping through a straw. Bless that green drink. Unfortunately, when served cold, there is always the danger of getting matcha green tea chunks up in your straw and, so so sorry, up in your mouth. And that brings us back to another thing I can’t stomach about matcha green tea lattes, which is, obviously, MATCHA GREEN TEA CHUNKS. Not okay. The solution to getting them just how I want them? Silky-smooth and lusciously green and cold and creamy and a teeny bit over-sweetened? The solution is making them at home. Because you can buy yourself a little packet of matcha powder and your fave creamy almond milk and be a whiz at this in less than 60 seconds flat. Get a mason jar with a lid. Imma show you. That’s the matcha paste (you have to make a paste so you don’t get chunks) mixed with the almond milk and agave. 60 seconds later, you are sipping that matcha green tea latte like a boss. It’s packed with antioxidants (thanks matcha!) and it’s ULTRA creamy while staying light in calories and fat (thanks Almond Breeze!) and completely plant-powered (thanks agave!) and GUESS WHAT there’s a bonus. PS. What was life before Amazon? I don’t even remember. Did you guys know about Prime Now? I can’t even. The other day I had something delivered to our studio in less than one hour and I opened the package and looked at Jenna and said: WE’RE LIVING IN THE FUTURE. 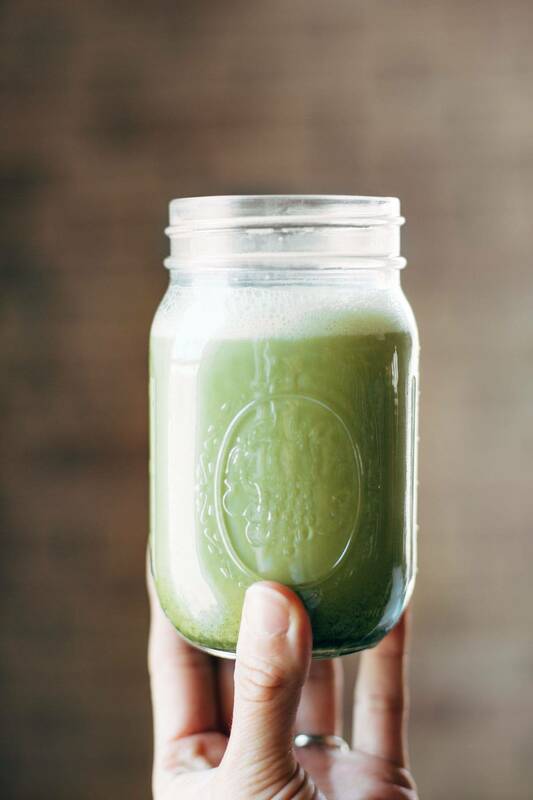 Iced Matcha Green Tea Latte – 3 ingredient perfection! featuring almond milk, matcha powder, and honey or agave. Vegan, dairy free. If you have a mesh strainer, you can also pour the matcha latte through it to remove clumps. I am usually too lazy to get it out in the morning which is why I just let it settle for a second and then pour carefully enough so that the little clumps just stay put in the bottom of the jar. 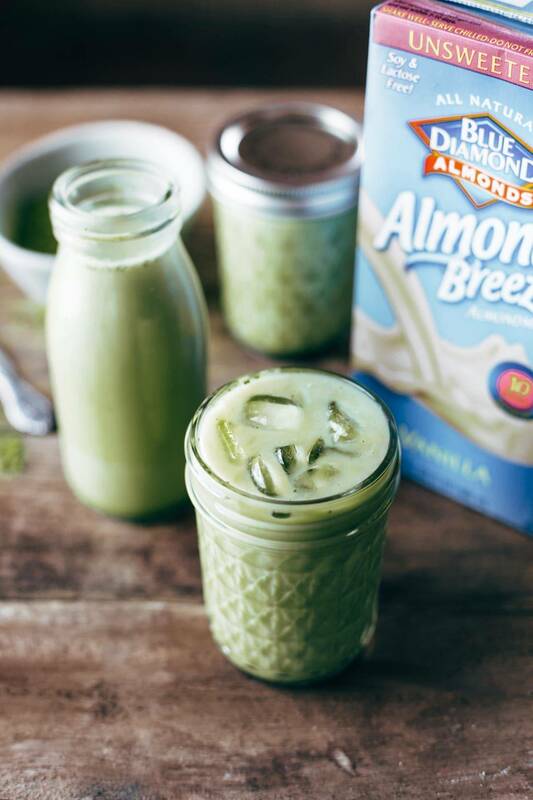 Shout out to Almond Breeze for partnering with us to make this delicious iced matcha green tea latte a reality. Matcha is the bomb! Matcha is also supposed to make you more alert, with a bit of a caffeine high- but without the caffeine crash,. Maybe I’m just super open to the power of suggestion, but I think it works! I’m like you where drinking it hot is not for me (too earthy tasting), but drinking it cold- yes please! I mix mine with cold brewed green tea (double the green tea goodness!) but I’m going to have to try it your way next! Yum!???? Hahaha that’s how I feel! Possibly susceptible to the power of suggestion but I don’t care – it’s delicious and makes me feel good. 🙂 GO MATCHA! 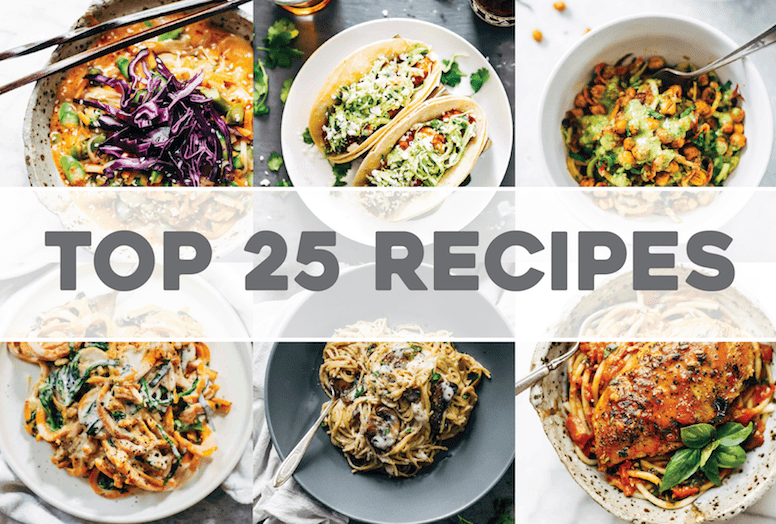 And awesome recipe! love it! Not just the power of suggestion; here’s some info on that awesome matcha buzz. …while there is caffeine in tea (in the form of theine), it is present in much smaller quantities than other methylxanthines — particularly theophylline, which is more of a respiratory stimulant than CNS stimulant. Theobromine is also found in tea… this alkaloid is the main psychoactive presence in chocolate and cacao, and it is more of a heart stimulant than caffeine. Tea also contains L-theanine, an amino acid that promotes alpha brain wave production and alert, calm states of mind. Love this! Matcha Ted is currently my favorite thing, sooo good and I can’t wait to try this recipie! Thanks so much for sharing it! this is the 2nd recipe im seeing with matcha..and i need to get my latte game on! it’s fate! get to it! haha no more forgetting! bust that matcha out! Yum! Love iced matcha lattes especially since I’ve been trying to cut down on my caffeine consumption. I usually add a little stevia but I’m going to have to try with a little agave or honey! yes indeed you will! it’s delicious! Hahah! We ARE living in the future, isn’t it crazy? My favorite makeup store doesn’t carry the palette I need anymore so I walked outta there like a boss because I KNEW: Amazon will have it! I love matcha 🙂 As an acupuncturist hippie I’m down with all the tea. But matcha is special – everyone loves it! I need this in my world to go along with my Matcha bliss balls. Matcha bliss balls?! That sounds amazing! yes – so easy!! hope you like it Libby! Thanks Emily! It is interesting how each brand is a little different. Yessss! It’s delicious and so super healthy! hope you guys like it! This looks delicious! I am always looking for new ways to incorporate my matcha! Glad to hear that! Thanks Kari! Have you tried using a blender bottle? Like the kind they sell to mix protein shakes with. I bet that would be good at breaking up the matcha chunks too! I’ve never tried a matcha latte before but have been feeling curious about them…this has encouraged me to take the dive! I don’t know, even with a whisk it’s pretty tricky. It’s similar to cocoa powder in that it doesn’t dissolve well into cold liquids. But I should give it a try! WHY OH WHY have I never thought to make an iced version of a green tea latte? And I thought you were going to whip out a blender or something to handle the matcha chunk situation, but I LOVE that this only requires a mason jar. This is definitely on my Saturday morning agenda now! Hope you enjoy it, Denisse! Iced matche lattes are my favorite, and Jade Leaf is my go-to matcha brand. I was wishing I had one the exact moment an email about this post arrived in my inbox! I follow this exact process when I make them, although I still get the occasional bitter lump of matcha powder. I’m considering buying a blender bottle with a wire shaker bottle, specifically for this purpose. Matcha. Matcha. Matcha. I need a mason jar (or 5) of these bad boys right now. I bought some matcha latte powder from Trader Joe’s after hearing about it, but it didn’t seem right. Buying this powder off Amazon now! You can do it! 🙂 Hope you enjoy it! Lindsey, I strongly urge you to do your homework on your carton of almond milk. Please read the ingredients and you’ll discover the unhealthy additives. I learned long ago that the shelf (non-refrigerated) carton packaging is not a healthy choice. Bravo on the Matcha though! Yum! I’ll have to try agave. I had to decaffeinate, the caffeine in coffee spiked my coritsol and I couldn’t handle stress well anymore. Enter green tea! It doesn’t spike your cortisol AND it helps you handle stress better. I found that using the battery powered frother from Ikea gets rid of the lumps quick as a wink. Cheers!???? Matcha gives me LIFE. It’s perfect when I want something more substantial than a cup of tea, but not as heavy as coffee. And I mean, it’s green, so I must be doing something right?? Have you tried a Matcha Bamboo whisk? I put the matcha powder in a bowl and add a bit of almond milk and whisk it until it’s frothy then add the rest of the milk. It wotks well without lumps. Thanks for the suggestion, Peter! We’ll have to check it out! Just tried this and it’s SO good! I love matcha hot but this made me see it in a whole new light.